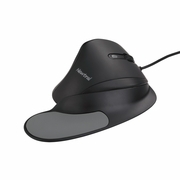 Newtral 2 Ergonomic Wired Black Mouse. The Newtral 2 Ergonomic computer mouse is a step forward in comfort. 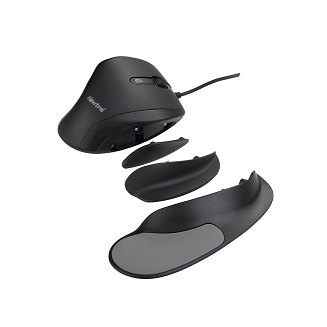 The Newtral mouse is packaged with interchangeable precision grips for a fit and feel that’s best for the way you work and play. There is no sacrificing work and play efficiency while enjoying ergonomic comfort of the Newtral mouse. Enjoy work or play with the adjustable DPI settings (750-3000dpi) and precise laser sensor technology.